After a solid twelve years experience in London and Sydney, dressing more than two thousand happy gentlemen I can say I understand a little bit about tailoring. Though there is quite a big difference between having experience and being great at it. So following are the great things that make my service different and better than the majority of other tailors around. Making a suit for a mannequin is one thing, making a suit for a man is a whole different one. Most tailors don’t realise this important distinction and yet after years of experience they still make suits for mannequins. I don’t and for this reason I spend much time at the beginning to get to know the person I am about to dress and understand his emotional and psychological factors: personal and business lifestyle, habits, mannerism (the way he sits, moves, talks and holds himself). Only once I understand the person I translate all gathered information into measurements, style details and choice of materials to create a totally personal garment. As simple as it may sound this is something that cannot be thought and even despite experience a tailor either has it or doesn’t. Nowadays just a very few tailors get this right. I believe tailoring is an extremely personal service and for this reason I don’t trust delegating my work by employing strangers to dress my clients. 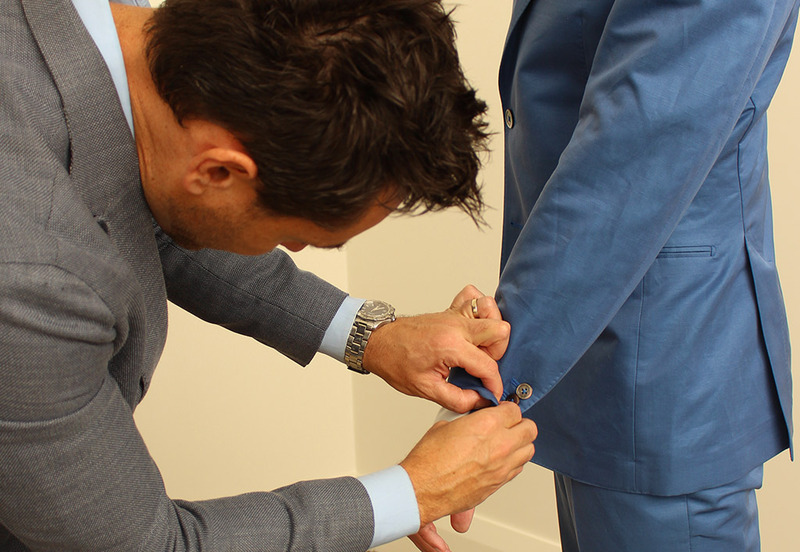 Hence I take care of each client in person and oversee the whole tailoring process from beginning to end ensuring every minuscule detail is on point. Once a suit is made I don’t just let a gentleman walk away with it. I educate each client on how to wear a suit properly, what to wear it with, how to maintain it and how to maximise its lifespan. I keep in touch periodically and just like a friend I build a relation based on trust and loyalty that goes beyond the service and last a lifetime.